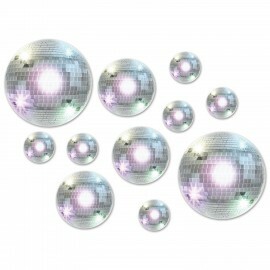 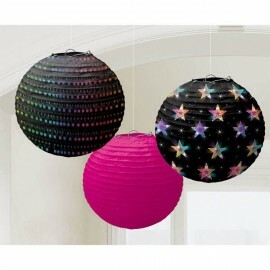 Cutouts Disco Balls Assorted Sizes Value Pack 12 x 10cm, 6 x 20cm & 2 x 30cm Cardboard Printed Both Sides Pack of 20..
Disco Couple Photo Prop 2 Sided Design (94cm x 64cm) Cardboard (Not suitable for Express Post due to size of product) Each..
Disco Fever Beverage Napkins 2 Ply (25cm x 25cm) Pack of 16..
Disco Fever Hanging Strings 7ft (2.1m) Carboard Cutouts & Foil Stars Pack of 6..
Disco Fever Luncheon Napkins 2 Ply (33cm x 33cm) Pack of 16..
Disco Fever Printed Paper Fans, Contains 2 x 40.6cm Fans, 2 x 30.4cm Fans & 2 x 20.3cm Fans Pack of 6..
Disco Fever Round Paper Lanterns (24cm Diameter) Paper Pack of 3..
Disco Fever Scene Setter Wall Decorating Kit 82cm x 165cm Plastic Each..
Disco Fever Value Pack Hanging Swirls Includes 6 foil swirls plus 3 x foil swirls with 18cm cutouts and 3 foil swirls with 12cm cutouts. 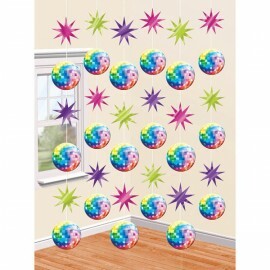 Pack of 12.. 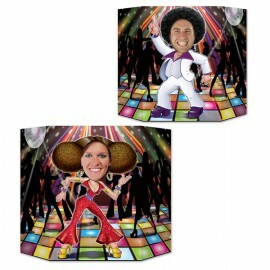 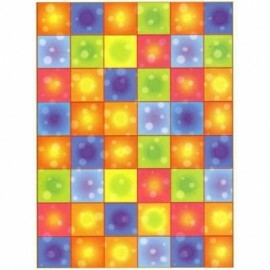 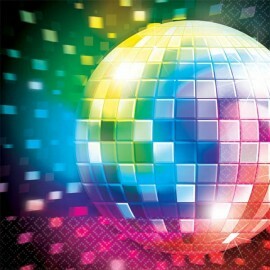 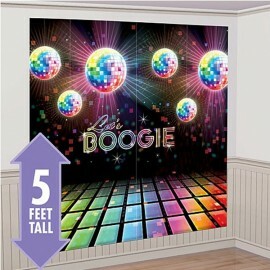 Scene Setter Wall Disco Boogie Squares (120cm x 12m) Plastic Roll.. 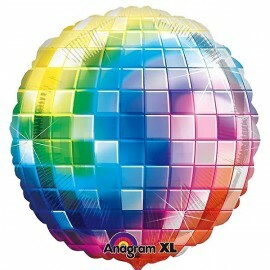 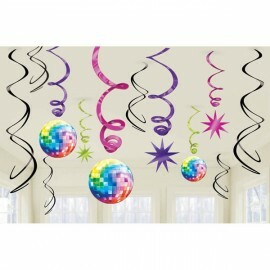 Shape 70's Disco Fever 81cm Foil Balloon (Self sealing balloon, Requiries Helium Inflation) Each.. 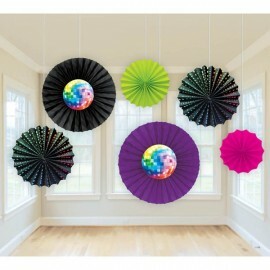 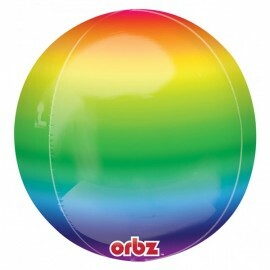 Shape Orbz Rainbow Design 38cm x 40cm Foil Balloon (Self sealing balloon, Requires helium inflation) Each..